The fates have conspired to draw me back to Greece this coming summer. I’ve recently had a lot of interesting correspondence with people in Europe who are working, in one way or another, on solutions to the intensifying global financial crisis. The eastern Mediterranean seems to be at the leading edge of the global debt tsunami so that’s the place to be. I have been invited to serve as a Scientist in Residence at the holistic Kalikalos Summer School on the mythical Pelion peninsula near Volos, Greece. I will be there during the periods 12 to 19 June and 10 to 17 July, and possibly some other times in between or after those dates. During the 12-19 June period, Kalikalos will also feature a course, The Big Picture: Toward a new way of relating to self, community and planet, led by Jennifer Hinton and Theoharis Tziovaras, and during the 10 to 17 July period, Jonathan Dawson of Schumacher College (UK) will be offering a course, Economics of Solidarity, in which I will assist. My residency there will provide lots of opportunities for idea sharing and collaboration. 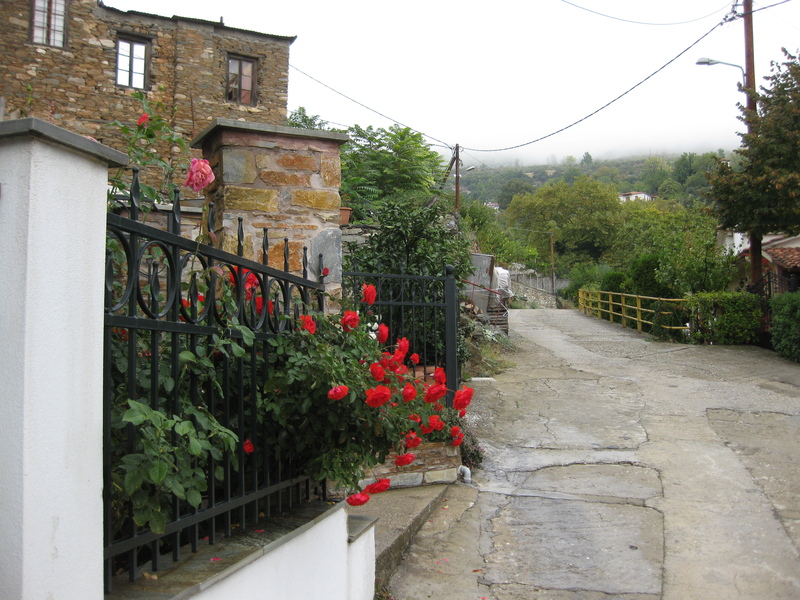 In addition to my stay at Kalikalos, I expect to be spending some time elsewhere in Greece during June and July. Besides Athens and Volos, Crete and Cyprus are also possibilities. At the moment, August is open, but I plan to remain in Europe until early September. My return flight is booked from London, so I will be spending at least a few days in England prior to my departure. As always, I am open to visiting, presenting, and conferring in places along my routes. Proposals can be sent to me at thgreco@mindspring.com. Since the January elections there, and in anticipation of my summer visit, I’ve been looking closely at Greece,—researching its history, politics, and economy. A lot of media attention has been given to the new government of the Syriza Party and its populist agenda. Especially prominent in the news has been their new Finance Minister, Yanis Varoufakis who has been wrangling with Angela Merkel and the rest of Greece’s European creditors over restructuring the countries debt and relaxing the austerity conditions that were accepted by the previous administration. Varoufakis has an impressive background and some unorthodox ideas about how to address the debt crisis that threatens to not only crush Greece, but to unravel the entire Eurozone. He is to be admired for his courage in standing up to the “troika” (the European Commission (EC), International Monetary Fund (IMF), and European Central Bank (ECB)), and for exposing the failures and pretense of the economics profession. Varoufakis’ blog provides links to many of his interviews and presentations, and his book, The Global Minotaur: America, the True Origins of the Financial Crisis and the Future of the World Economy, published in 2011 and updated in 2013, is now gaining wide attention. That is not to say that he gets everything right. He may have the right approach to dealing with the immediate crisis of national insolvency, but he seems to be lacking when it comes to understanding the more fundamental flaws of money that is created by banks on the basis of interest-bearing debt, nor does he seem to appreciate the vast potential of innovative exchange mechanisms like mutual credit clearing and private currencies issued by trusted domestic producers. He has however posted one currency idea on his blog that might be of some help if some features were to be changed. I have posted my suggestions about that as a comment to his post. You can find both his proposal and my comment at http://yanisvaroufakis.eu/2014/02/15/bitcoin-a-flawed-currency-blueprint-with-a-potentially-useful-application-for-the-eurozone/#comment-148955. Besides accessing many web sources, I discovered, quite by accident in a local bookshop, a new book that is proving to be invaluable in providing me with essential background and insights into how things operate in Greece in the post-WWII era. The book is, The Thirteenth Labour of Hercules: Inside the Greek Crisis, authored by journalist Yannis Palaiologos (Portobello Books, 2014). Reading it has shown me the many dimensions of Greek politics and the domestic and foreign basis of the present crisis. It seems that there is plenty of blame to go around. I will spend the month of May going back and forth between California and the East Coast to visit family and friends. Then in early June prior to my departure for Europe, I will be occupied with events in California. On June 2, I will lead a discussion in Martinez (San Francisco Bay area). This event, sponsored the Mt. Diablo Peace Center and Friendly Favors, is titled, Between the Devil and the Deep Blue Sea: What Greece needs to do to extricate itself from its economic and financial predicament. We will discuss the various options that Greece and other debtor nations might employ, both in dealing with their immediate problem of insolvency, and in rebuilding their sovereign domestic economies. Please see Details and RSVP at the Events page of www.favors.org. Then, from June 4 thru 7, I’ll be participating in the conference, Seizing an Alternative: Toward an Ecological Civilization, to be held at Pomona College in southern California. This is shaping up to be a huge event with 12 sections and 80 tracks. I’ll be playing a major role in Section 1, The Threatening Catastrophe: Responding Now, Track 6: Political Collapse (http://www.ctr4process.org/whitehead2015/section-1-track-6/). I will be providing input on how the geopolitical order is determined by elite control of money and banking, and outline some promising strategies for empowering people and communities by reclaiming the credit commons. Will also reports that they “have recently made the move to develop a non-profit foundation called Grassroots Economics to house these programs, and are looking for partners that really understand the seriousness of the monetary problem and the urgent need for community based solutions.” A quick update on the currency projects can be found here. paper, How do banks create money, and why can other ﬁrms not do the same? An explanation for the coexistence of lending and deposit-taking. This is an excellent and clear explanation of the accounting sleight-of-hand that enables banks to create deposits (money) without the vast majority of people, even most bankers, realizing what is happening. Of course, many of us in the alternative exchange movement have long recognized that banks do this, but Richard’s explanation of HOW they are able to do this must be compelling even to his academic colleagues. This paper is a very important contribution to the literature of monetary and banking reform and transcendence because it also outlines the positive implications of some small changes in banking laws and regulations that could be made if there were the political will to do them. Of course, understanding how the flawed money system operates is only the beginning, and political approaches to reform seem very unlikely. That knowledge must be used as a departure point from which to design and implement innovative market oriented approaches to extra-bank exchange. Mutual credit-clearing circles and private currencies spent into circulation by trusted issuers, can be organized by businesses and communities to provide “home-grown” liquidity. To my knowledge, there are at present no major legal obstacles in most countries that would impede such innovative technologies from being widely deployed. The Swiss WIR and the existing commercial “barter” exchanges are imperfect models that provide proof of concept. In the US at least, commercial barter exchanges are officially regarded as “third party record keepers” which are not subject to banking and money transfer regulations. You might also enjoy viewing the documentary video, Princes of the Yen, which is based on Richard’s book by the same name (subtitled, Japan’s Central Bankers and the Transformation of the Economy). It makes me wonder if there might be a place for directed investment and allocation of credit by central governments in temporarily addressing the worst effects of the European debt crisis (other than bank bailouts, that is). Students of innovation will be interested in The Innovators: How A Group of Hackers, Geniuses, and Geeks Created the Digital Revolution by Walter Isaacson. The audio version, which I have just finished, held my attention throughout the entire 15 CD set. Since listening to his Black Swan in audio format a few years ago, I’ve been a fan of Nassim Taleb, so I’m now in the process of listening to his book, Antifragile: Things That Gain From Disorder. This is another work that is both iconoclastic and filled with original ideas. Highly recommend. Finally, if you really want to understand what’s happening in the world, you need to follow Dr. Paul Craig Roberts, former Assistant Secretary of the Treasury in the Reagan administration. Dr. Roberts is one of the few commentators today who see what is really going on and is willing to tell about it. His recent interview by Greg Hunter is especially timely. View it in my post at BeyondMoney.net. This entry was posted in My activities and tagged newsletter. Bookmark the permalink.